The city of Spruce Grove lies 11 kilometers to the west of Edmonton, near the Town of Stony Plain. It is surrounded by the County of Parkland and this city is a part of the Edmonton Capital Region and as per 2016 census, the population estimate was 34066. Highway 16 and Highway 16A are the 2 highways that run through Spruce Grove. Edmonton Transit offers public transit connecting Edmonton and Spruce Grove during peak hours. There is also a local transit that runs in the city and you may travel by air from Villeneuve Airport and Parkland Airport. The Canadian passenger train also connects Spruce Grove with Toronto and Vancouver too. Spruce Grove belongs to Parkland School Division No. 70. There are many festivals that attract a lot of visitors in Spruce Grove. The above table depicts a comparison of home insurance prices by major insurance companies in the city of Spruce Grove. Squareone Insurance had the lowest average annual quote at $759. The Economical Insurance had the next lower quote at a difference $423. TD Insurance had the highest quote at $1362. Wawanesa Insurance had the next quote higher by $61, not much of a difference. The highest quote by TD Insurance was 44% higher than the lowest quote by Squareone Insurance. If you are visiting or settling down in Spruce Grove, you may find that there many options to lead an active and healthy lifestyle. There are many sports and recreational facilities in Spruce Grove. This includes Henry Singer Ball Park, Spruce Grove Arena, Fuhr Sports Park, TransAlta Tri Leisure Center etc. In Spruce Grove, there are various programs, amenities, and attractions that will liven up your stay. The RCMP detachment is responsible for the public safety in Spruce Grove. They have many programs aimed at enhancing the community welfare and safety. These include Rural Police & Crisis Team, Restorative Domestic Offender Program, School Resource Officer, Public Safety Compliance Team and Crime Free Multi-Housing etc. Spruce Grove has many initiatives for ensuring the protection of residents and businesses by linking various community groups. The safety of the community is aimed at vehicle & pedestrian safety, substance abuse prevention, crime prevention, family safety, adequate and secure housing etc. This initiative is known as ‘Safe City’ program in which community clubs, healthcare centers, family support services coordinate with each other. The RCMP, fire services, and peace officers also work with each other. The program aims at enhancing safety for homes, public, establishments, families, neighborhoods, and schools. Spruce Grove has many beautiful lively neighborhoods. The neighborhoods near Edmonton side include Fenwyck, Prescott, Tonewood, Greenbury, The Woods at Kenton and Kenton Village. Stoneshire and Hilldowns neighborhoods are near the city center. Other neighborhoods in Spruce Grove include Jesperdale, Hawthorne, Mclaughlin, Springate and Harvest Ridge. The average cost of living of a small family in Spruce Grove is around $2400 to $2700 excluding rent. There are many retailers and businesses that are local, chain restaurants and other professional service providers in Spruce Grove. Some industries are vital in the economic development of Spruce Grove. These industries include transportation, logistics, warehousing, food processing, oilfield, business services, event tourism, hospitality, retail etc. Spruce Grove has 2 industrial parks with lots of facilities for economic and commercial usage. The first one is the Campsite Business Park situated on the Campsite Road. The second one is the Spruce Grove Industrial Park situated on Golden Spike Road. These have easy access to the major highways 16 and 16A and offer graded land and Class A buildings for the industrial purpose at competitive prices. The average price of a house in Spruce Grove is around $389500. You may pay around $308000 for a detached house in Spruce Grove. The cost of a semi-detached house is around $297000 in Spruce Grove. You may pay around $258000 for a townhouse in Spruce Grove. The cost of a condo in Spruce Grove is around $236700. The city assesses the market value of properties to estimate the yearly taxes. These are used to fund the various services as per city governance. Your property taxes are due by the June 30th every year and you may pay at once or on a monthly basis. The municipal residential mill rate for 2017 for the City of Spruce Grove is 5.5652. 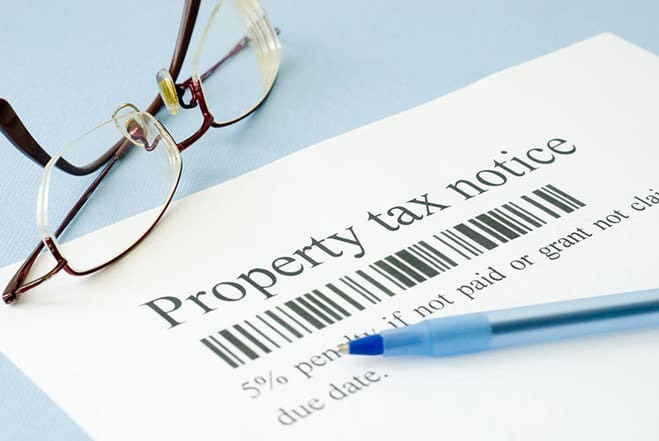 You may pay property tax at an estimate of around $2784 for a property assessed at $350000. The main source of water for Spruce Grove is the North Saskatchewan River. The hydro bill for residents of Spruce Grove depends on the total household consumption that may vary each month. The average hydro bill for a small family in Spruce Grove is around $140 to $220. This may vary each month as per consumption. You may experience lots of sunshine throughout the year in Spruce Grove even when there are 4 different seasons. The humidity levels may average at about 68% and the annual rainfall is around 371 mm. You may find that July is the hottest month of the year and temperatures may rise up to 22° C. January is the coldest month of the year with the temperatures dropping up to -17° C.
The average cost of daycare in Spruce Grove is around $14 to $20 per hour for full-time childcare. The provincial website has tools to assess if you qualify for childcare subsidy and this could reduce your costs. The average price of grocery for a small family in Spruce Grove is around $245 to $330. This depends each month on the household diet and consumption.